In India Holy Basil is commonly known as Tulsi. 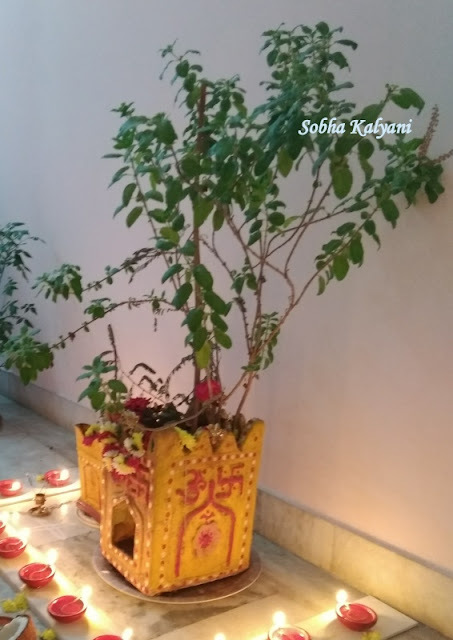 Every Hindu home will compulsorily have one Tulsi plant as it is considered sacred and every married Hindu women worship the plant. Besides being a sacred plant Tulsi plant is rich medicinal values. It is a widely spread perennial shrub and is a native of Indian subcontinent. It's botanical name is Ocimum sanctum. It can be easily grown in balconies. Tulsi is a very highly effective air purifier which helps in improving the quality of air. The plant is grown in simple pots or in specially designed pots. As Tulsi plant requires enough sunlight to grow, a balcony in a flat with good sunlight is the best place to keep the plant. For the healthy growth of the plant water the plant regularly with just enough water and not too much water. Tulsi leaves are used as home remedies for curing many illnesses. Money plant is the most commonly grown indoor plants in India. It;s botanical name is Epipremnum aureum. The plant is a powerful air purifier and helps in cleaning the air in the surroundings. It is a plant which grows easily under any condition. The plant easily grows when placed in a pot full of soil. It also grows well when placed in porcelain / glass container filled with water. 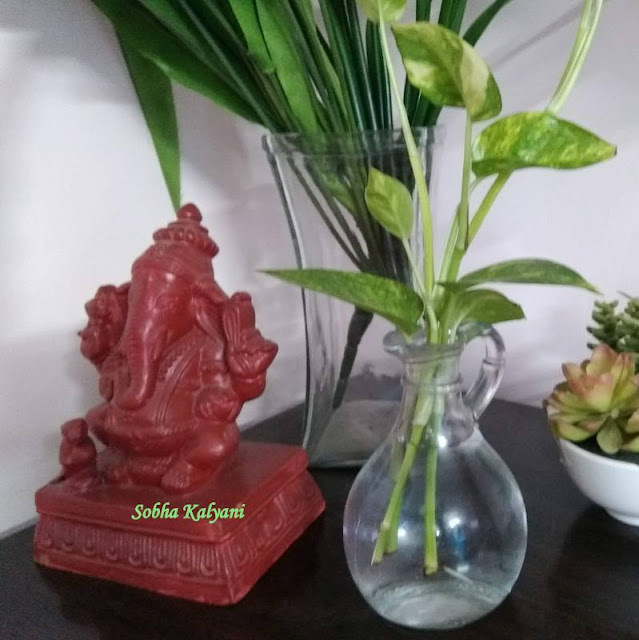 The best part of money plants is that these can be aesthetically placed anywhere in the house along with the decor pieces which adds to the beauty of the decors. In fact growing money plants in glass containers has become very common in flats and these plants are used in enhancing the beauty of the home. Money plants placed in recycled decorated glass bottles filled with water grows healthily and give a fresh green look to the surrounding. However it needs a bit of maintenance. The water in the bottles should be changed from time to time otherwise the roots inside the water become slimy. And also the yellow leaves should be pruned for a fresh look. The plant is also known as butterfly palm and Areca palm. The botanical name of the plant is Chrysalidocarpus lutescens and it very much resembles a coconut tree. This is one of the most commonly grown indoor plants in flats. The plant grows easily and doesn't need direct sunlight. It's leaves turn yellowish on direct exposure to sunlight. It is an effective air purifier and also a natural humidifier. The plant grows taller so it's growth should be stunted by growing these plants in small pots so that the roots get crowded. This indoor plant adds to the beauty of the house when placed in any corner of the house and it also helps in filtering the toxins from the air particularly the cigarette smoke. The plant needs enough water for its growth. Recently Aloe vera has gained much popularly as a wonderful skin care product. The plant easily grows in mild sunlight and can survive for long without water. Aloe vera plant is one of the best indoor plants which needs almost zero maintenance. It absorbs the dust and toxins from the air and thus keeps the air fresh. This plant is also known as mother-in-law's tongue and Saint George's sword as the plant has long tongue-like / snake-like leaves with a pattern of scales on it which resemble the scales of a snake. The botanical name of the plant is Sansevieria trifasciata. The leaves are thick and grow erect giving a beautiful look. The plant helps in filtering formaldehyde and so can be placed in washrooms. Snake plant is one of the best air-purifiers which easily grows indoors. It plant can be placed in the corners of the bedroom as it produces abundant oxygen during night. The plant don't require any care for maintenance and it survives for a long period without watering. These plants have long blade like light green leaves with lime yellow border. These plants grow easily indoors in low light. These indoor plants absorb all the undesirable gases from the atmosphere in the house and thus keep the indoor air pure. Most of the orchids are perennial herbs and grow well in tropical climate. A variety of exotic orchids are sold in the nurseries which are hybrid varieties and are best suited as indoor plants. These wonderful ornamental plants enrich the air with oxygen and also fill the indoor atmosphere with natural fragrance. Most of the orchids need some amount of humidity with consistent low temperature to grow. They do not need direct sunlight and cannot survive in hot climatic conditions. Orchids bloom in winter and wither away as summer approaches. Orchids help in getting rid pollutants that are found in glues and paints. These are one of the wonderful indoor plants that add to the beauty of the home. However orchids need great care and maintenance to grow healthily. The plant has unique shaped leaves that dangle and look like spider's legs. The plant got its name after these spider's legs-like dangling leaves. Spider plants are extensively grown as indoor / house plants and add beauty to the interiors. These plants help in removing unwanted gases like carbon monoxide etc. There are other exotic indoor plants which add to the beauty of the home act as excellent air purifiers. These include the small bamboo plants grown small glass containers. These bamboo plants are used as Feng shui products. Ferns are yet another widely grown ornamental plants which purify the air and also give a rich greenery to the room. Indoor plants can be placed in corners behind the corner tables which give an appealing effect. 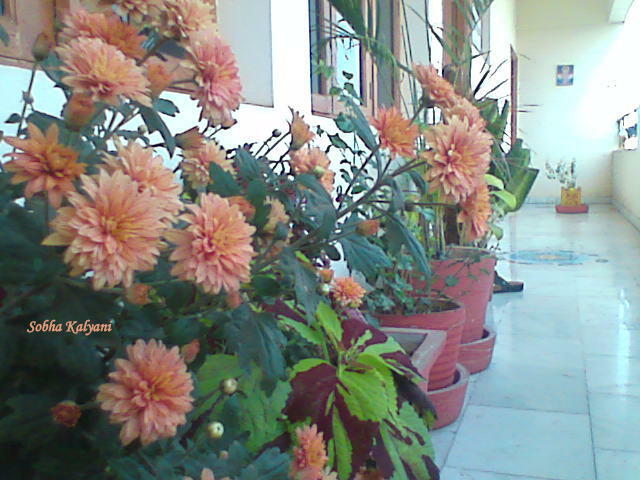 Most of these plants grow healthily in balconies. These places purify the air by removing toxins released and enrich the air with oxygen. These plants make lovely indoor plants and create an artistic impact on the interior decors.